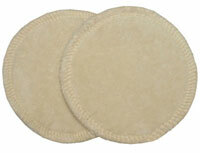 Our organic nursing pads are available in organic cotton or organic wool. Our organic cotton nursing pads are made with a layer of organic cotton fleece topped with a layer of soft, luxurious organic velour. 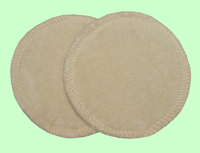 Organic wool pads are made with 2 layers of soft organic wool jersey. Price is per pack (each pack contains two nursing pads).